Don’t get me wrong: I love art and I love attending art fairs. They provide one a unique opportunity to see what’s fresh and new in the art and design industries—or whatever trade is being rep’d—every few months. For me, however, a booth is a booth is a booth. 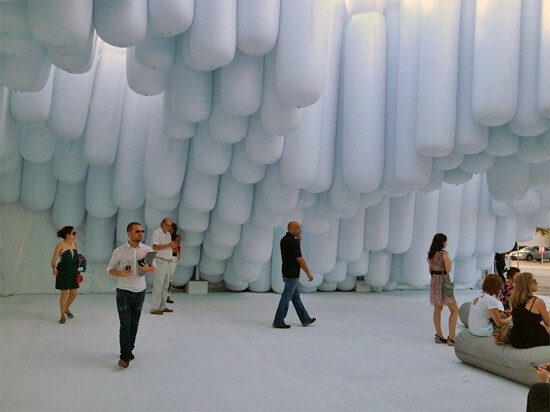 Art fairs must continue to find new ways of further distinguishing themselves or otherwise run the risk of conventionality. 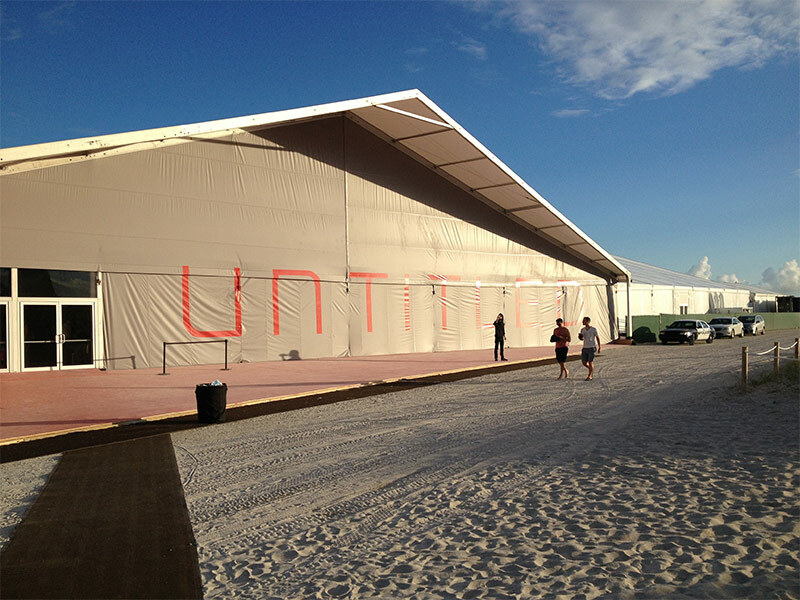 The example of Frieze was most certainly a source of inspiration behind the new Untitled Art Fair, the tent of which was designed by Keenan/Riley Architects . I had the chance to chat up the founder of Untitled over sunset cocktails on Friday evening. I asked if he was considering commissioning a new tent designer for subsequent years—an RFP, or a call for proposals, perhaps? Unfortunately, this did not seem like his intention, but I nevertheless applauded his efforts. And the location of the fair—right off 5th and Ocean Drive on the beach—was off the chain. 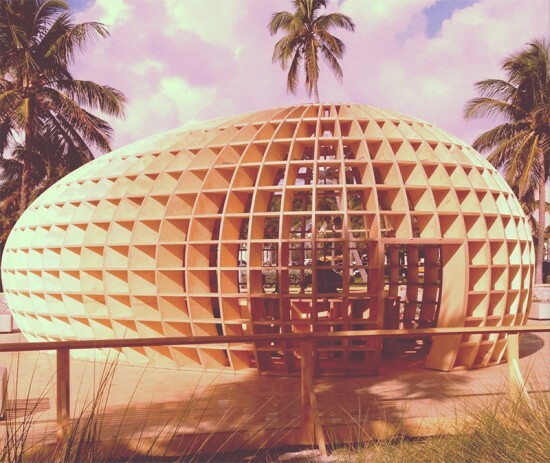 Perfectly situated on the beach (between the W Hotel and the The Setai), Guiro, Absolut Art Bureau’s glowing, egg-shaped installation that—quite literally—secreted vodka for nine hours every evening, all in view of top-notch curated art and music programming, is exactly what the doctor ordered. I can’t wait to see what Absolut Art Bureau has in store for us next year. There’s not much else to report on this crowd-pleasing, Louise Bourgeois-inspired installation other than restating the obvious: it was awesome and there should have been/should be more installations like it. A first for me at—what is, now, my fourth—Art Basel: a construction site tour. 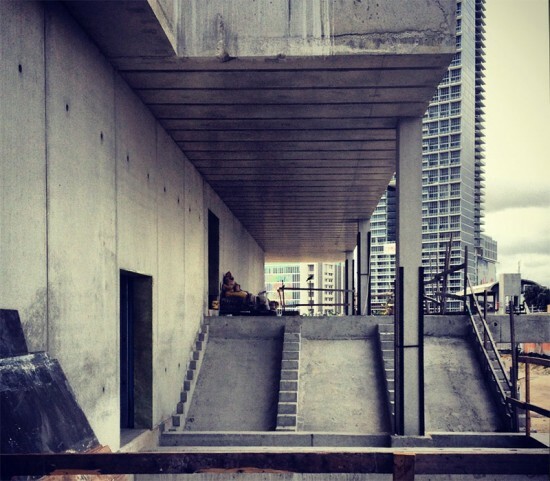 I spent a beautiful Saturday morning on an intimate site tour of Herzog & de Meuron’s new project for the Miami Art Museum—which is slated to open at Basel 2013—led by Jacques Herzog, in the flesh, along with MAM director Thom Collins. 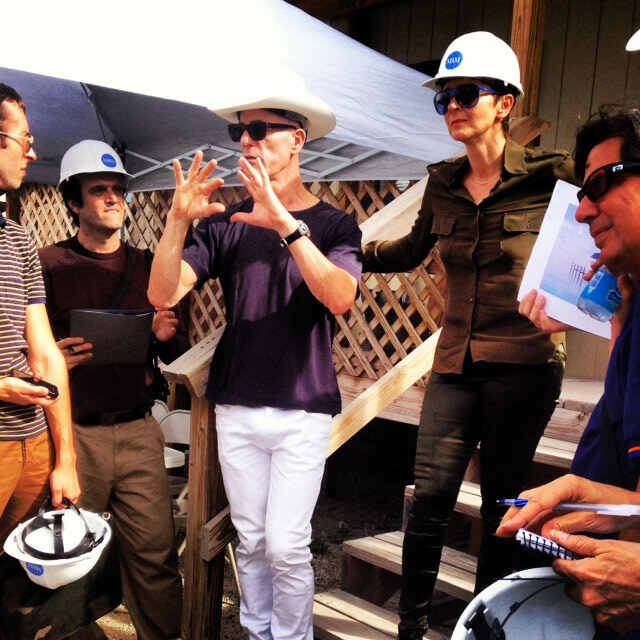 Perfect structure, perfect site….perfect everything.